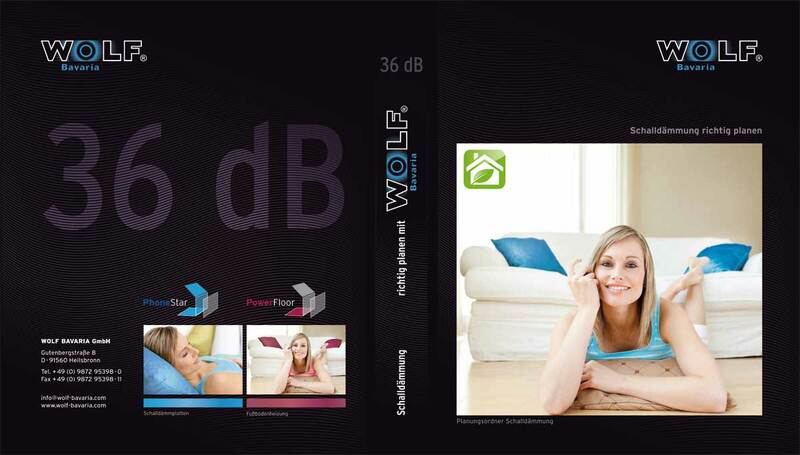 The new revised wolf planning folder is now available! We are pleased to present the updated Planning Folder as a helpful tool for planning a wolf ground system. We always strive to meet the current needs and requirements of our customers. For this reason, we are expanding our planning folder by two categories. In general, the Wolf Planning Folder will keep extensive information about our products and helps you planning, using and processing our drywall elements. In addition to general information on the topics of Sound Insulation and Surface Heating Systems, it displays our products, technical data is explained and more than 60 different design possibilities are presented. With the help of the included heating power tables, heating planning is drastically simplified. Learn more and start the download (button at the bottom right). The Wolf Bavaria Team would like to thank you for your interest and wishes you more peace and ease with your construction project by facilitating the planning process. "Nordbau" 2017 in Neumuenster from September 13th to 17th at the Fair Trade location Holstenhallen. The "Nordbau"-Fair Trade will take place from 13 to 17 September 2017 in Neumuenster. We are looking forward to meeting many familiar and new faces. You will find us at the booth: H-3-3126. MR WOLFGANG ANGERER SUPPORTS US ON DISTRIBUTION SINCE 01.07.2017! We warmly welcome Mr. Angerer to the Wolf team. Mr. Angerer takes over the distribution for the postcode areas 80-85 and is state-approved construction technician / carpenter. Another specialist who will support you and your building project professionally. We look forward to an intensive and successful cooperation.